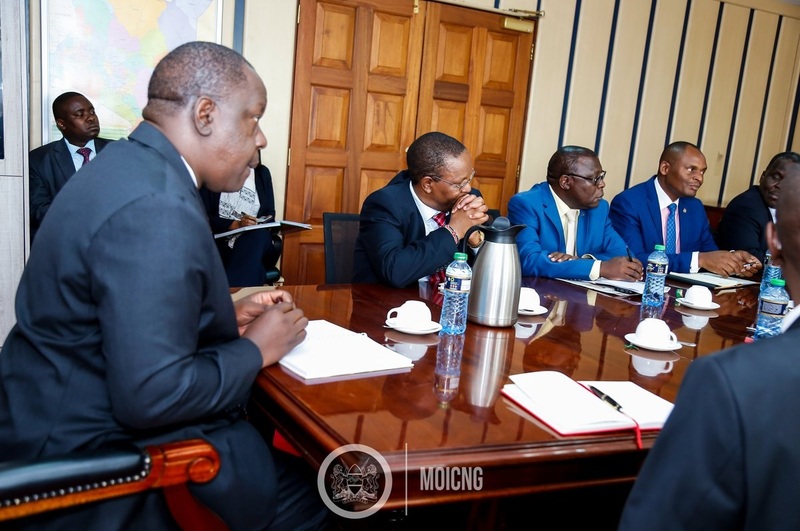 Wednesday February 13, 2019 - Interior CS, Fred Matiang'i, has tasked the National Transport and Safety Authority (NTSA) with a new duty. Speaking after meeting the authority's new Board of Management for the first time on Monday, Matiang’i, who was recently elevated to a Super CS in charge of all Government projects, tasked the new NTSA with ensuring that road carnage is reduced by 50% in 2019. "Honest and loyal leadership is what Kenyans are demanding and you must be directly accountable to them by enforcing all the laws ruthlessly and applying standards without compromising," Matiang'i stated. The CS equally tasked the board with the reduction of deaths on roads to near zero in the future. Besides, the Super CS asked the board members to be making regular visits on the ground to gather first-hand information. Matiang’i also warned about the improprieties reported at the NTSA including the cloning of number plates.